I love bikes. I had many different bikes when I was a little girl (ya know from the tricycle to the bike with training wheels & then the big girl bike with the streamers at the end of the handlebars...). I had a bike in college that I rode from my apartment to classes & now I have a mint green cruiser with a wicker basket on the front. So, it's safe to say that bikes have always been in my life & my love for them has never gone away. Really, is there anything better than leisurely riding your bike on a warm summer day? Didn't think so :) Well, I compiled a list of cute little ways to incorporate bikes into my life in different ways! 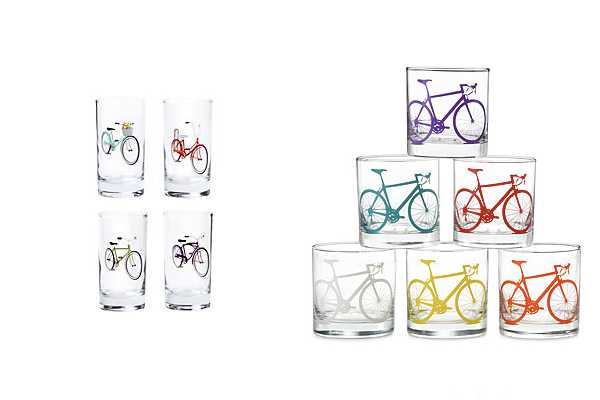 Bike Prints :: a fun addition to our home decor! Those are adorable. I need to get my bike tire pumped up so I can start riding again! Bike riding is the best! i want it all! 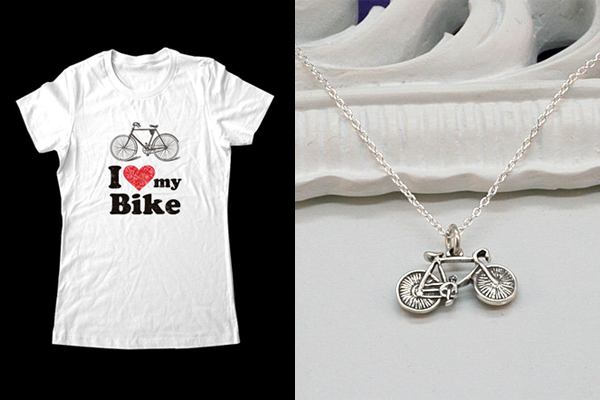 i especially like the bicycle necklace. 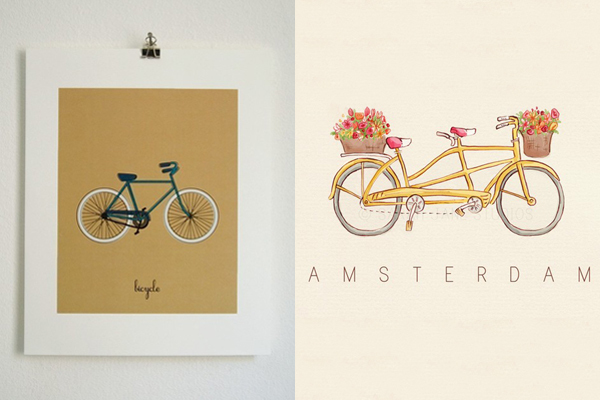 That amsterdam print is amazing!